MPs will soon vote on whether to renew Britain’s aging Trident nuclear weapons system. Ahead of Saturday’s anti-nukes protest in London, Royal Navy submariner-turned-whistleblower William McNeilly broke his silence and spoke exclusively to RT. 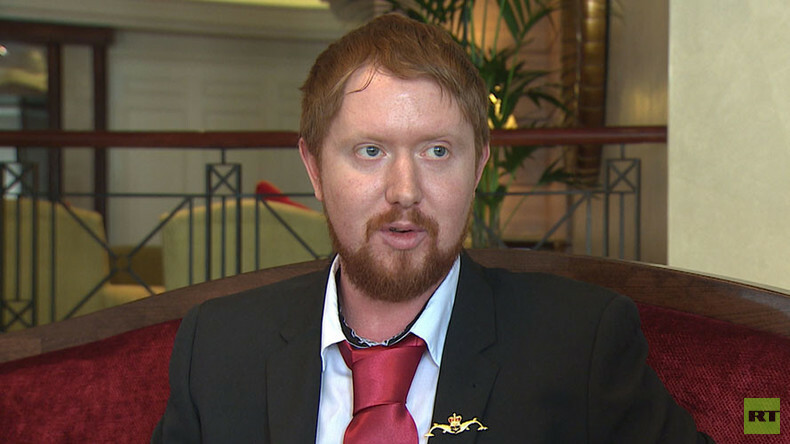 In May 2015, McNeilly, 26, leaked a report exposing 30 safety and security failures documented over his three-month tour on board one of Britain’s Vanguard submarines. Narrowly escaping jail, McNeilly was dishonorably discharged, returning home to his native Belfast. 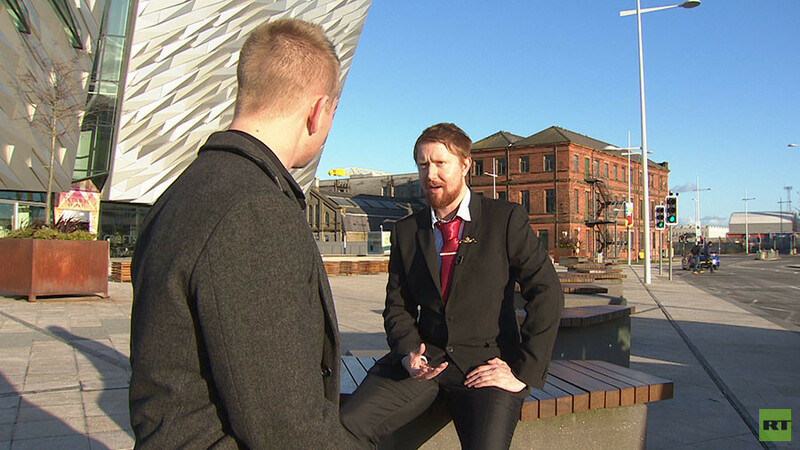 Today he hopes to influence the Trident debate and halt the government’s drive for renewal. “I didn’t release my report to discredit the Crown,” McNeilly told RT’s Rob Edwards. Among the safety and security failures exposed in McNeilly’s report are a fire in a missile compartment resulting from toilet rolls catching light, instances of missile safety alarms being muted and missile control center fault alarms being ignored. The report also documents routine failures to follow safety procedures when working with missiles, missile compartments being used as a gym, seawater leaking into a hydraulic plant and sprinklers flooding a torpedo compartment. Fire risks from a build-up of rubbish, water dripping onto electrical equipment and overcrowding on board were also featured as safety hazards. At a time when the British government is concerned with potential terror threats against both civilian and military infrastructure, McNeilly’s description of elementary security failures makes for difficult reading. His report describes top secret information left unguarded, routine failures to check ID cards and search bags brought aboard – and even nuclear safety exams being rigged. “You don’t even need to be part of the Navy – any logical thinking person, anyone with half a functioning brain cell can understand the risks,” said McNeilly. “At the airport you have your bags checked. They don’t check your bags [at Faslane]. Any bags, any boxes you’re bringing on board, they don’t check. Their attitude is it will take too long. “All you need to get on board is a couple of fake IDs. Terrorist groups like ISIS [Islamic State/IS, also known as ISIL] have already shown they can produce legitimate documents. Thousands of Royal Navy IDs go missing every year as well, so they could come across one. Increasing numbers within the UK have radicalized people, which increases the risk of one of them coming across an ID. “Going on that patrol, I think there was 180 people on board. They’re all bringing on big bags unchecked. All it would take would be for one of them to have a bomb,” he added. Shocked by the apparent dysfunctional handling of Britain’s nuclear submarines and weapons, McNeilly’s experience turned him against Trident. He is now convinced the weapons fail to provide any kind of deterrent – instead presenting a dangerously exposed target for terrorists. “If you get a list of all the disadvantages, it would be huge. You could write books and books on it. Then they have one vague reason for keeping the Trident system. And that one vague reason is they say it’s a deterrent. “Was it a deterrent for the wars we fought recently? Afghanistan? Does it deter the people who were radicalized in Afghanistan? No. All it does is create a target for those people who are radicalized in Afghanistan, so it’s not a deterrent for those people, it’s an attraction. “It is an attraction to the people who were radicalized to carry out an attack on our homeland that could bring the UK to its knees. McNeilly says he is different to other whistleblowers. Unlike former-NSA contractor Edward Snowden, for instance, McNeilly claims he is concerned with the apparent lack of security, not its excessive use. McNeilly was nevertheless smeared by the Navy and sections of the mainstream media, which sought to portray him as traitor, a spy and a threat to national security. “Some newspapers said I had top secret files on my phone, that I was on the run and that I was learning to speak Russian … Trying to make me look like a traitor, basically. Not someone who has released a safe document that doesn’t contain any top secret information. All it contains is safety and security concerns. It even shows my concern for top secret information left unguarded. “This idea that I’m a traitor who’s learning Russian. I’ve never learned Russian in my life. They made that up. No offence to the Russians, but I’ve never tried to learn their language. “Another thing they said was, oh, he’s crazy. Don’t listen to him. Addressing the upcoming parliamentary vote on Trident’s renewal, McNeilly pointed out the economic case for nuclear disarmament. He also argued that the weapons are obsolete in a post-Cold War world, while their costly disposal is environmentally unsustainable. “Think about the cost. What else wins votes? Making cuts doesn’t win votes. They don’t have to make as many cuts if they cut out Trident. We’re talking about £100 billion [US$140 billion], £167 billion, whatever it is, it’s not good for the UK in any way. You’ve got floods, police, fire brigade, NHS, our real defenses that we use every single day that people need. People don’t want the boats and we don’t need them.